Despite assurances last year (March 2017) that New Zealand would not be disadvantaged with Britain pulling out of the EU, shadows are appearing on the horizon. Currently (with the UK as part of the EU) the traditional quotas New Zealand enjoyed historically were spread over the UK and EU. With the withdrawal of Britain there now is a renegotiation process to go through to reallocate how the quotas are to be spread. The first shot from the EU and UK is that New Zealand’s quotas should be split 50% - 50% between the continent and the UK. This figure is based upon approximately what the current split between sheep meat exports from New Zealand are, and given that only approximately 67% of the quota is being utilised, with the bulk of the balance going to China and the USA, it would appear at first glance that there is no issue. However, what concerns meat exporters is that the Brexit deal is still to be settled between Britain and the EU and it is quite possible that the EU will restrict access of sheep meat from Britain meaning that New Zealand lamb (primarily) will have a more difficult job competing with UK lamb in Britain and with that lamb out of the EU New Zealand may not be in a position to ramp up exports there to take opportunity of this, so a lose, lose on both sides of the channel. The quota split ruling has come out with the Brexit ‘rules’ still to be decided upon and so the uncertainty around the ‘big picture’ is perhaps the most concerning aspect, as with only 67% up-take of the quota, (which has been in existence at least since 1994 when New Zealand sheep numbers were around 50m (and falling). Sheep numbers in 2017 were at 27.4 million with what appears to be a slight increase this year.) concerns may prove to be a storm in a tea-cup but given the longevity of the existing trade arrangements New Zealand’s negotiators are wise to consider the long game. Of a more immediate concern is the disastrous start to the 2018-19 wool selling season. Since the end of last season prices have fallen by over 20% for some wool classes and heavily affected are the coarser crossbred wools. PGG Wrightson’s South Island sales manager Dave Burridge believes the newly instigated online wool exchange is at least in part to blame, having sales only a couple of days before the last Christchurch. However, the wool price has continued to fall. Dave Burridge’s latest comments are interesting as back in May he is reported as “welcomed the initiative”. It was set up to provide “transparency” to the wool selling process, the exchange appears to offer more ‘help’ to the purchasers rather than the sellers. Trying to access online information of NFX and how the latest sales have gone appears difficult and so a fair comparison of prices is unable to be done at this stage. Judging from media comments the largest sellers appear to be meat companies. To date, this commentator fails to see what positive attributes the Wool Exchange adds to an already fragile industry and is a step in the wrong direction. Finally, yet another iconic South Island high country station has been sold to overseas interests. 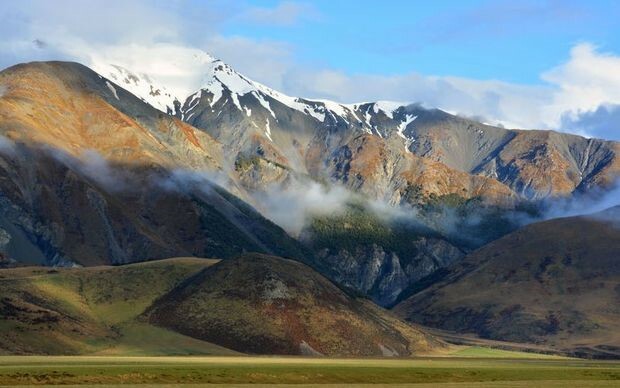 40,000ha Mt White which bounds a large part of the Arthurs Pass route between Christchurch and the West Coast has been on the market for some time. It has been purchased by Czech-born Lukas Travnicek - a New Zealand permanent resident - from the Turnbull family for an unrevealed sum but believed to be well in excess of $30 mln. The sale has a couple of odd features; Travnicek was granted a New Zealand permanent residency visa in November 2013, and his wife and children are New Zealand citizens. However, he needs OIO approval because he returned temporarily to the Czech Republic in May 2017, so he is not currently an ordinarily resident here and so is considered an overseas person under the Overseas Investment Act. Travnicek must return to New Zealand in just over 12 months and no longer be an overseas person within two years. If he is not able to meet these conditions he will be forced to dispose of the property. The other oddity is a block of land that was meant to be part of the surrounding national park back in 1901. There is an unresolved question about the future of almost 1000ha of land called the Riversdale Flats, which was included in the pastoral lease by mistake. Conversations are planned with DOC to try and finally resolve the issue. The 'Coarse crossbred' chart will be drawn here. The 'Fine crossbred' chart will be drawn here. The 'Mid micron' chart will be drawn here.